We combine the elements that make a great kitchen with those that make an aesthetic outdoor landscape. Your outdoor living space can serve as a great place to entertain your family and guests. Extend your living area of the house into the outdoors with functional and aesthetic outdoor kitchens. At Landscapes WA, we help nourish your idea for an outdoor entertaining space and provide you options for a kitchen customized perfectly to your needs. Enjoy the convenience of your indoor kitchen outdoors! Whether you require a simple outdoor kithchen with a patio, grill and a dining table or a fully functional outdoor kitchen complete with countertops, appliances and amenities, we design entertaining outdoor living spaces for all. Do you want a perfect summer night with great friends and savory aroma of delicious food sizzling on the grill? With outdoor kitchens, you can cook as well as enjoy with your friends at the same time in your backyard. Our well-designed outdoor kitchens are fully functional for everyday use and are attractive enough to show off at your next backyard party. When designing your outdoor kitchen, we consider the number of people you plan to accommodate, your budget, your entertaining needs, the location, size and design layout and appliances required. We love to design beautiful outdoor kitchens using the best materials and equipment for accomplishing all your goals. At Landscapes WA, each outdoor project is given careful attention to ensure that you receive the level of superior quality and service that you deserve. 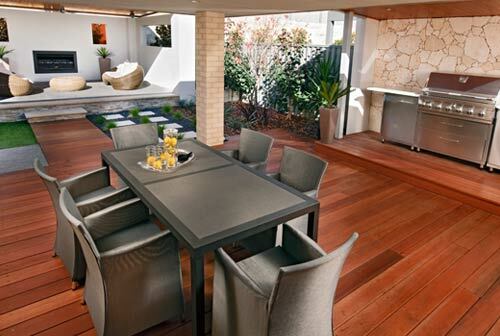 We provide the best outdoor kitchen services in Perth, WA. With our experience in outdoor kitchens, you can have your very own interactive outdoor area for conversation and fun! Our landscape architects will create impressive outdoor kitchens that will certainly add value to your home as well as provide entertainment in the years to come. 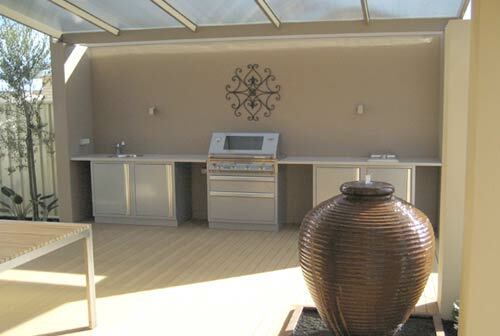 Call us today to discuss your outdoor kitchen needs. For more information about our outdoor kitchens services, contact us today.